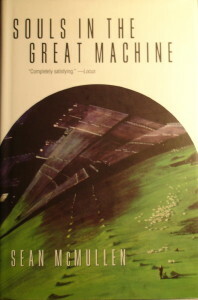 When I first had the book Souls in the Great Machine suggested to me by my significant other, I initially had my doubts. It was supposedly a steampunk novel which is a genre that I really don’t take to seriously and my significant other and I usually don’t agree on what books and literary genres we enjoy. When I was halfway through this book though I had come to realize that I was pleasantly surprised. Despite all this humanity has still adapted and is largely prosperous. Cities are built and organized in such a way that if a person is caught in a Call there are various barriers along roads to catch them, houses have no windows or doors on sides that face the sea and most people have clockwork call anchors that if not reset occasionally will release a hook or other sort of anchor that will catch hopefully catch on something or lodge itself in the ground to stop people long enough for the Call to pass. Trains are in existence in Australica, but due to religious precedent by all religions cannot be powered by anything but wind or muscle. Mass communication is maintained to a point by a series of beamflash towers that use mirrors and sunlight to deliver coded messages across large distances. In Mounthaven where there is no such religious precedent a rigid class system has developed which is more similar to feudal Japan than anything else. The ruling class is made up of Airlords and their Wardens who fly above the Earth in small personal aircraft. Wars are fought in the air solely by the airlords and their wardens, both to spare the civilian population at large from brutal warfare, but to also conserve resources. Personal duels have also returned to both continents. This may seem like a lot to take in, but the author does a very good job in slowly orienting the reader to this new world of his. Also the imagination the author obviously put into all of this is quite impressive. He imagines humanity, despite numerous impediments to its advancement still moving forward, both culturally and technologically. It is quite interesting to see how the author finds ways to get past the barriers he has set for himself. This is quite impressive. I also enjoyed all the characters. There was not one that I hated, nor found disinteresting. All were interesting in their own right. I have never encountered this in a book before. I mean in most books there is at least one character you can’t stand or at the very least would rather skim over the parts they’re in in order to get to more interesting characters. This is not a problem here. Each character also seemed to have a drive behind them. Some purpose that they all felt they needed to carry out. While this may seem cliché and somewhat unbelievable, I found it quite interesting, this was it was intriguing to see how the author tied in various seemingly unconnected plot points together to become something greater in the end. The writing was also phenomenal. I have never before encountered a work or series of works that so masterfully combined comedy and action so well together. There were so many witty remarks in all the books that each time you picked up the books to read you were guaranteed at least one laugh. This was a good change of pace for me as many of the books I read are quite serious in nature. The fact that this trilogy is sometimes labeled as steampunk quite annoys me. This is because it quite simply isn’t. Steampunk is largely Victorian in nature and is needlessly showy. It’s also completely unbelievable, technologically speaking. These novels on the other hand have instances of technology that are quite possible. It’s easy to imagine, for instance, a complex network of towers that deliver messages to each other through sunlight. It’s also easy to imagine pedal trains. 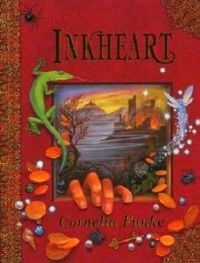 Overall these were amazing books. I was genuinely crestfallen to have had to finish them all. I hope you’ll give them a try and fall in love with them the same way I have. It is a pleasure to introduce our second Guest Reviewer, Jackie Keller. She is currently a senior at the University of Pittsburgh and her major is Psychology. She hopes to attain her B.S. in said science by the end of the year. When she is not delving into the minds of murderers and lunatics she can be found either either reading horror literature and exploring the underlying emotional processes behind them or sewing the skin from her victims into a human skin suit. We hope to have many more reviews from her in the coming weeks! Just in time for Halloween, it is my pleasure to present you ravishing readers with my review for the short story collection, Underneath. 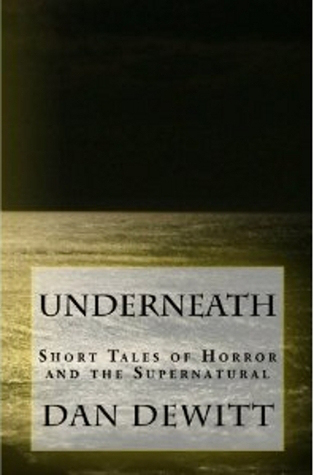 Underneath is a collection of unique horror tales by author Dan Dewitt. The stories presented are “true” short story length, ranging from 1500 – 4000 words, making it very quick and easy to read. They draw on many themes such as family, marriage, technology, and of course, zombies. 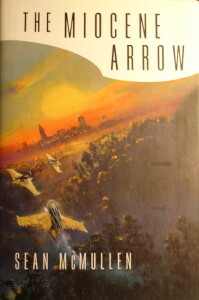 Dewitt switches between first and third person for his different stories, but has an overall realistic style. That is to say, even in third person, the writing style clearly and directly conveys the thoughts and emotions of the characters, even the more “coarse” ones. It’s a good choice for short horror, in my opinion, because it allows the reader to more easily sympathize and empathize with the characters as the tension rises in their respective plots. That said, the “thought style” presented for nearly all the main characters, as well as many of the supporting ones, tends to be very masculine. I realize that authors tend to write characters more along the lines of their own gender identity, and since Dewitt is male, it is more probable that many of his characters are going to be more masculine. However, this style in which he portrays many of the characters almost makes them blend together – nearly all of them drink and smoke cigars, are tough, even if unsuspecting heroes, protective fathers, etc. Seriously, this guy seems to have a cigar fetish or something, the characters smoke them in at least two or three different stories. I can’t completely dump on gender representation in Dewitt’s work, though. The only female protagonist in any of the stories is an intriguingly dark character, though here I am mentioning that she is the only female main character. As for the supporting female characters, however, the vast majority of them are smart, strong, definitely capable, and have at least some backstory of their own. One of the only possible exceptions being the character Dahlia in the Father-Daughter Dance story, but let’s just say that she has a… certain physical condition that we can cut her some slack for. Gender issues aside, I greatly enjoy Dewitt’s style for the way that it plants you right in the character’s heads and hearts. He even still does it well with multiple character perspectives in the book’s final story, Orpheus which is DeWitt’s unique take on the traditional post-zombie-apocalypse tale (and has actually been created into a full-length novel). Allow me to get back to the Father-Daughter Dance tale for a moment. This story follows one of many emotional trials of a father grieving over his lost daughter. Though Dahlia is arguably presented as a weak female character, the story itself is a strong parable of a parent’s love for a child, and how far a parent can and will go to try to save their child. This story is also one of the only stories that tap into more of a fantasy or “mystical” element. The only other story being How Many Years of Bad Luck Am I Up to, Anyway?. 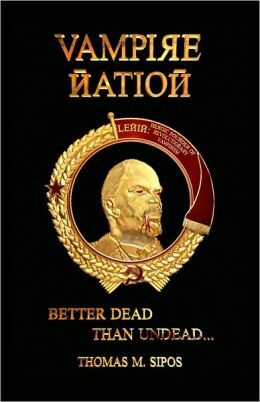 The occult themes in this story are a great style change from many of the more “realist” and contemporary styles of his other stories. It’s also pretty action-packed, and does keep you on the edge of your seat, but in my opinion, the ending falls a little flat. Nonetheless, I wouldn’t skip this one. Underneath is free for the Kindle on Amazon, and the paperback price is also extremely affordable, so if my review hasn’t piqued your interest enough in Dan Dewitt’s work, the price may as well! Obviously, if you aren’t a horror fan, it’s probably not going to be up your alley no matter what. But if you like mystery, a bit of the occult, contemporary drama, or even just zombies, I highly recommend getting this book, especially now that we’re entering the haunting season.